Today’s Brew: Hot chocolate with buttershots in it. Oh yeah. As I might have mentioned a time or two on this blog, Because The Night comes out in November. That means a few things. Hurking, first and foremost. A lot of that. I should be really skinny by release day. It also means blog tours. Which means more hurking for me, but for you it means giveaways! I couldn’t just do what everyone else does for giveaways. I needed to do something fun and cool and…me. My agent suggested doing something makeup related. How does it get more me than that? It just so happens that a friend and colleague of mine has her own makeup line. 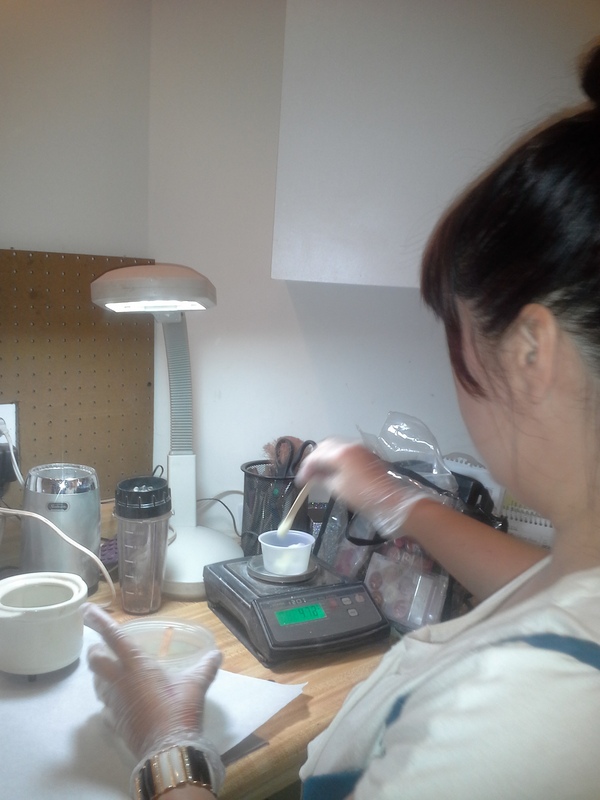 Meet Karrie Welch of Fortunate Face Minerals. 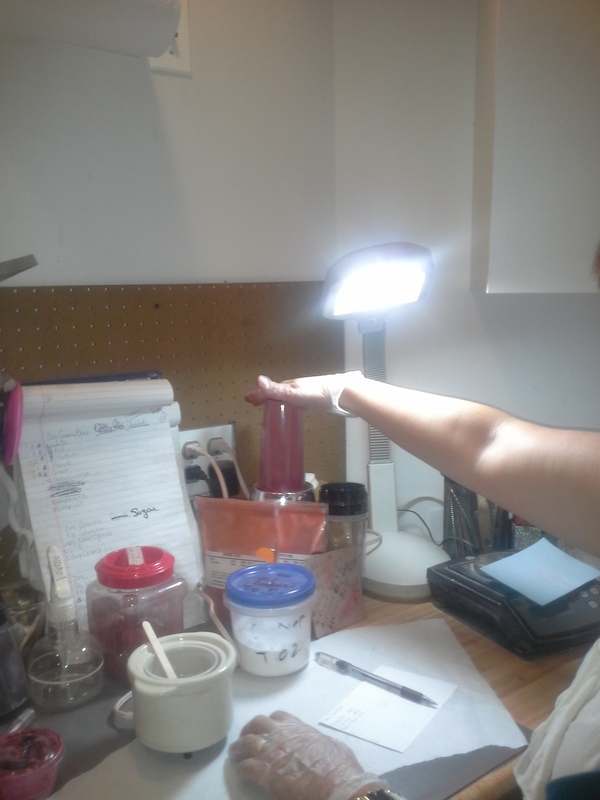 Karrie formulates all her own colors for all of her natural products. I approached her with my idea to formulate lip glosses based on the bands in the Night Songs series, and she thought it was a great idea. 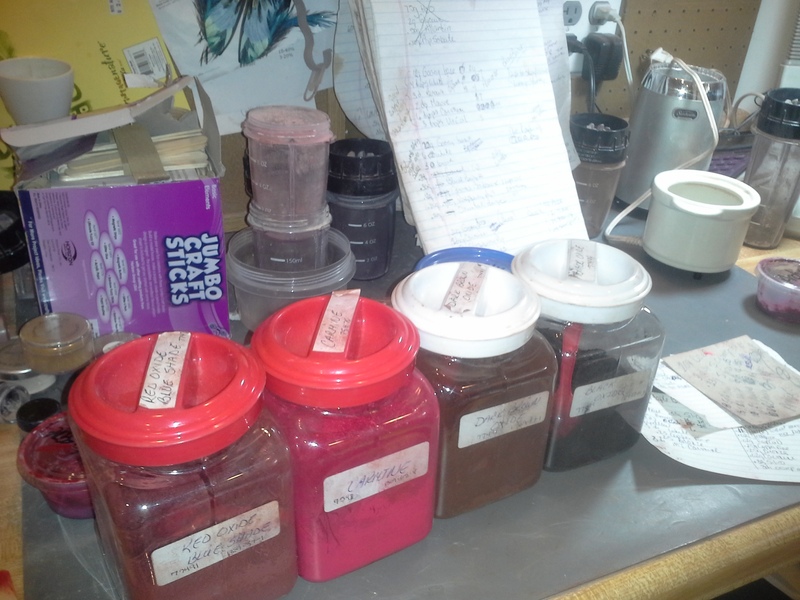 This Monday, I went to her laboratory to mix the perfect colors for Immortal Dilemma (blood red), Fire Dancer (a warm orangey red) and Soul Divider (a sheer plum with dark pink shimmer). ‘Who the hell is Soul Divider?’, I hear my street team roar. You’ll mean them in Night Moves, the second book in the series. Before the lip glosses were born, they were just minerals in jars. So these aren’t just little pots of goo. No sirree, Bob. 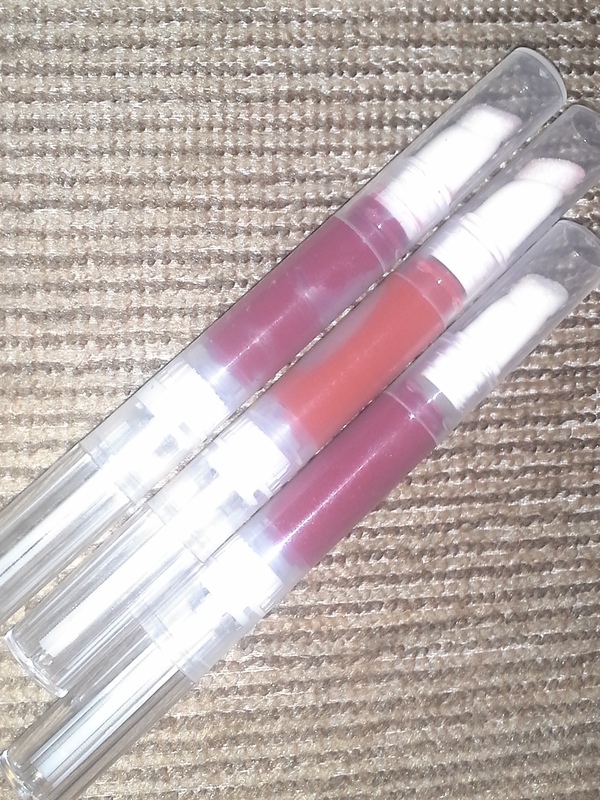 These are tubes that you click up similar to a Stila lip gloss. On the bottom of the tubes, they will have little stickers with the appropriate band name. Like lip gloss you buy in stores, kids. This is a real thing. I couldn’t be more excited, not only that my book is coming out, but as a makeup artist to have products I helped create it surreal. They are highly pigmented and have all natural ingredients like jojoba oil and orange oil. Julie of course had to try it out as soon as she got there. Her review: “It felt good and tasted good. It was light but had substance.” So what I’m saying is, this is the good stuff. Right now, I’m planning on using these as promotional items. If there is interest, I can make them available for sale. (They would be $10 each, and whatever shipping costs). 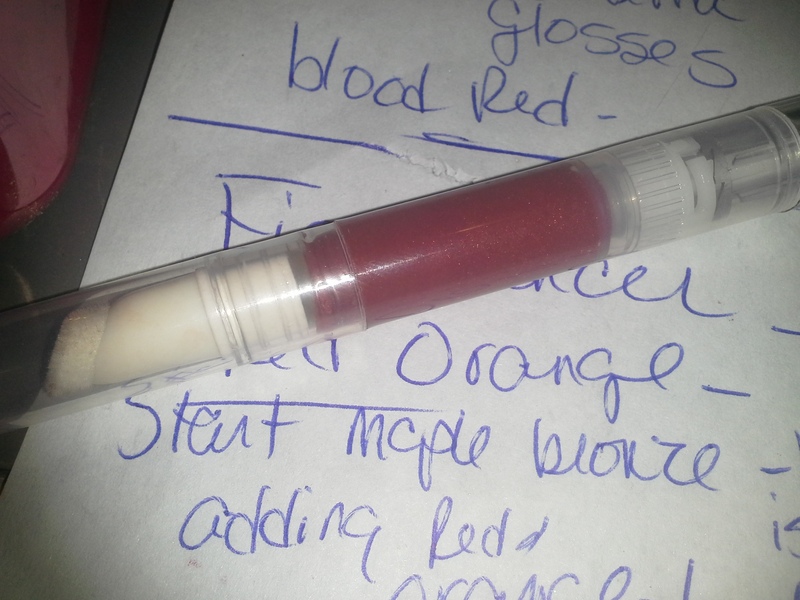 And lip glosses were born! Check out the Fortunate Face website for more information on Karrie’s products!